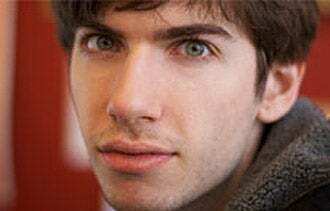 In the drudge match for finding top tech talent, David Karp, the 25-year-old CEO of Tumblr calls his company's New York City home his best asset. Karp sat down with Webby Awards Executive Director David-Michel Davies to discuss the growth of the micro-blogging site and the evolution of Tumblr, among other things. The "fireside chat" was part of Internet Week New York, a festival of more than 250 tech-focused events around the city that runs through May 21. While many on the West Coast talk about the area being the future, Karp says instead that New York is where it's at. Referring to the Big Apple, as the "heart of the creative world," he adds that his company's location allows him to be closer to the people that are important to Tumblr, a.k.a. creative types. Plus, its NYC setting has helped the company lure some top talent from big tech companies, boasts Karp. Half of the Tumblr team of 100 people are "relos," or individuals that relocated to the area. Even as Apple and Facebook are offering up highly competitive packages, he says it's become easier to sell people on Tumblr, in part, because of what the city of more than 8 million people has to offer. NYC is just plain "cooler than Palo Alto," Karp says. Of course it might also have to do with the company's dazzling success. During the chat with Davies, the grey hoodie-clad Karp threw out some nuggets like how the microblogging website has more than 55 million blogs and over 17 billion pageviews each month. After signing up 75,000 new users in its first week, the platform grew amid a community of loyal hackers and designers that were already embracing bite sized media. In recent years, however, Tumblr has gone more mainstream -- landing praise from individuals and brands alike, including Newsweek and The Hunger Games movie. Today Karp notes that the company's millions of users can expect one Tumblr to be reblogged 9 times. Meanwhile, he claims that Wordpress averages 0.8 comments per post. That uptake among users, has helped the now five-year-old company reach a valuation of $800 million. Not bad for a guy that started the platform, as a means for self-expression. In 2007, Karp was hoping to participate more in the blogging process, though he didn't fashion himself a writer. "I don't enjoy writing," he told the audience. But, at the time, he says, blogging platforms were fashioned towards writers requiring a witty headline and a real editorial voice. Looking to share his interests outside of the "vanilla" Facebook page, Karp came up with the idea that has grown in its popularity due to the ease of sharing texts and visuals. "The non-ambitious thing about Tumblr is that it is a tool for me," Karp says. "I didn't expect anyone to use it. It wasn't intended to be viral or popular. It was just intended to be useful." As for the other uber-popular sites like Pinterest, Karp says he isn't worried about sharing any headlines. Karp told YoungEntrepreneur.com that he tries to avoid viewing things in the industry too competitively. "For me, it's not about wanting to dominate the market. It's wanting to make sure we're not wasting our time." What do you think has most helped Tumblr rise to success? Let us know in the comments below. Should you follow @YoungTrep on Twitter? Absolutely.